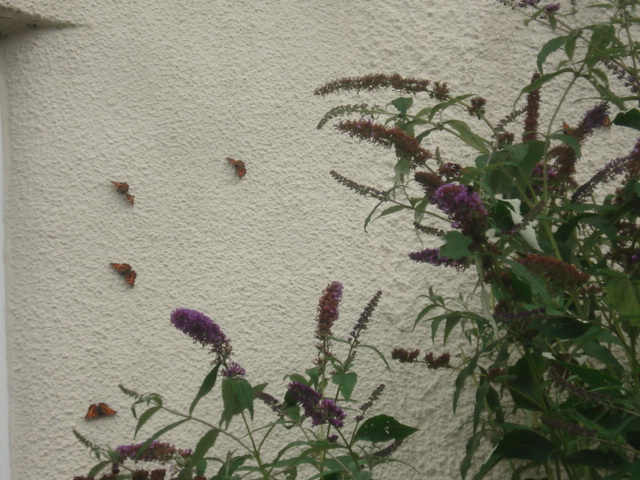 We went outside the front door and on the wall of the house were loads of butterflies sunning themselves. 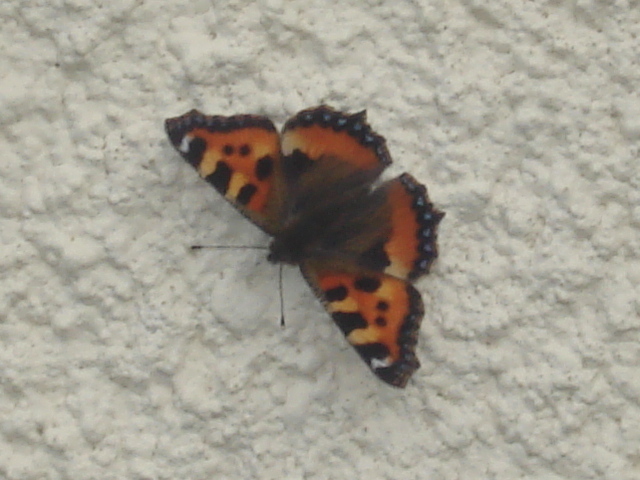 I suppose the wall was warm and they were attracted to that, but I have never seen it before. 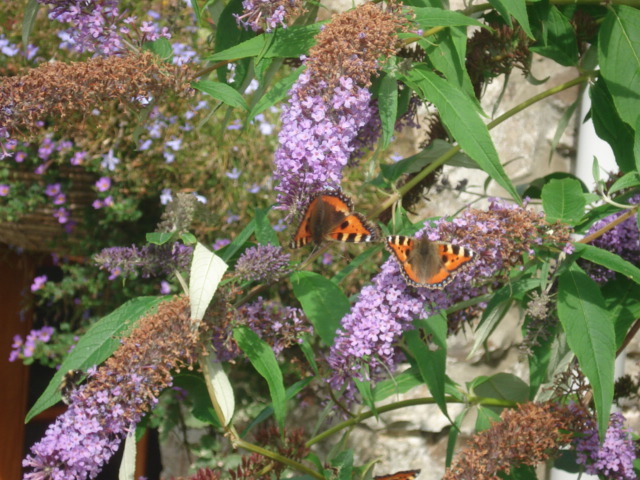 And then there were probably a hundred or more on the Buddleia. They were mostly Tortoiseshells. 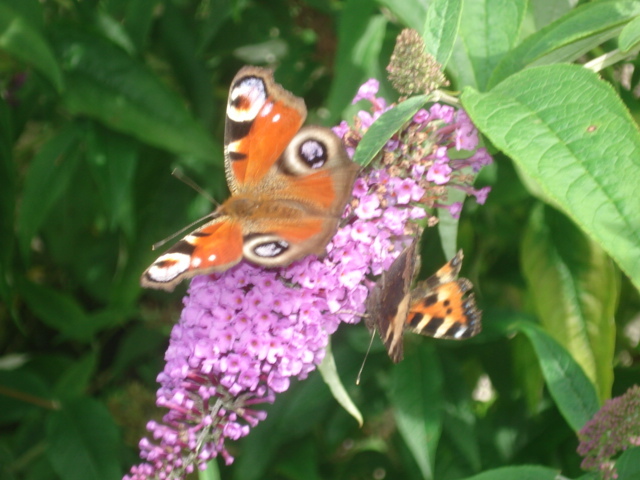 Also we saw several Peacock butterflies. 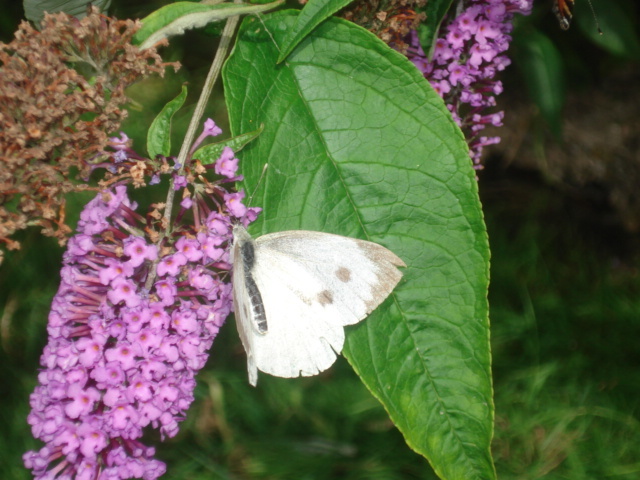 There were also some smaller butterflies maybe Fritillaries but I didn’t manage to photograph them. 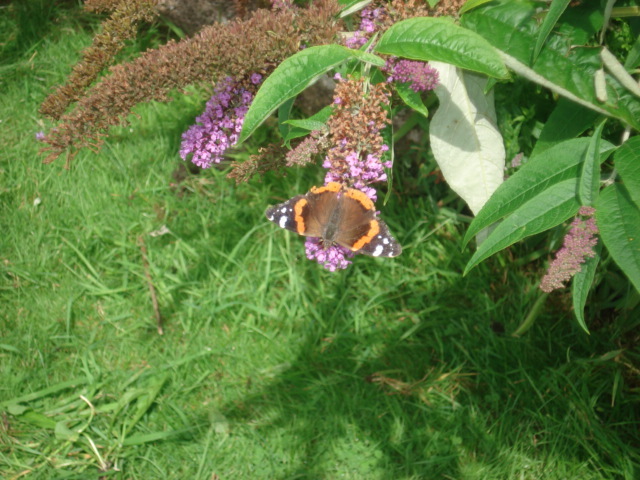 Good job I still have my “Observer book of Butterflies” to look up the different species. We still have some vacancies in the B&B in August and September so contact us for more details.